Do you focus on the limitations rather than on what everyone in the family could be learning from that illness? About a year ago, I had the wonderful pleasure to meet a new friend Kimberly. Kimberly has a son named Seth who has had a chronic illness since he was born. 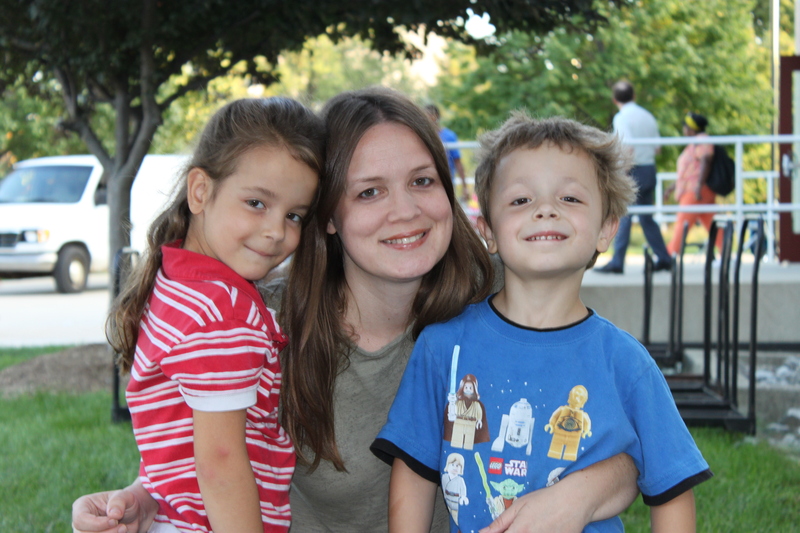 I’ve been amazed at Kimberly’s dedication to homeschooling despite her son’s illness. Seth’s life is full of deep interests, and he is able to overcome a lot of obstacles and achieve his dreams. So, I’m so happy I can share this interview with Kimberly. She shares a wealth of valuable advice on how to facilitate your child’s interests and dreams when he or she is facing a period of illness. 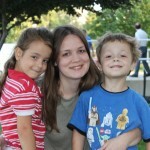 Kimberly has a great site where she blogs regularly about parenting a child with a serious illness. Can you tell us a little about your family and the health problems your son has? Seth was born with multiple heart defects and had his first open heart surgery at 4 days old. They labeled his defects as “pulmonary atresia” though that didn’t quite fit. It meant that his pulmonary valve was so thick, it allowed very little blood to flow through it and into his lungs for the oxygen he needed. His right ventricle was also extremely underdeveloped. His surgeon (who was retiring and had a lot of experience) said that he had never seen a right ventricle so small. The tricuspid valve that goes into the right ventricle was also small. At that time, we knew Seth had a hole between the upper chambers of his heart – at the age of 11 we found out that there was actually another hole inside of the first one. During the first surgery, they placed a patch into his pulmonary valve to keep it open, but they weren’t able to do anything else to help the other defects. They did make plans to have 2 more surgeries, one at 6 months and another at 18 months to “rewire” his heart so that he would only be using the 2 upper chambers instead of all 4 – setting him up with ½ a heart. Basically, they felt that the lower chambers were useless and had no hope for them. They said that the right chamber wouldn’t grow because its size is dependent on the size of the tricuspid valve – and it can’t grow. Imagine their surprise 3 months later when his right chamber had grown to full size and the tricuspid valve, though still undersized, had grown. The additional surgeries were put on hold, though they hung over our heads as possibilities for years. Seth’s first surgery saved his life, but he did not have a normal oxygen level. Normalis 92%-99%. He lived on around 82%, when he became active, it would drop into the 70s, so he definitely was limited. He also had severe food allergies especially as a baby/toddler and cold induced asthma. We’ve spent a lot of time in the hospital because of his health struggles. BUT, thanks be to God, Seth’s heart is healthy now. He had surgery again at age 11 (he’s 13) to close the 2 holes and his heart responded really well to it. His oxygen level immediately jumped to normal and it’s stayed that way. He’s able to do everything he wants and shouldn’t have any trouble as time goes on. What problems do you face homeschooling a child who is sick? Planning is difficult. I think we all understand that while we make plans for our week, the month, or even the year, things can happen to interfere. When you have a child with a serious illness, you have to make plans knowing there’s a good chance you won’t do it. That can be frustrating for a mom who likes organization. It can also cause a lot of stress because you feel as though you aren’t accomplishing anything or enough. You start to compare your child to other children (or what you think other children are doing) and feel as though you’re failing to give them the education they need. Your stress level can be extreme. When you decide to homeschool your child, you are making the decision to be the main care giver 24 hours a day, 7 days a week – that is a heavy load to carry by itself, but you’re also deciding to be the one responsible for their education. Will you prepare them well enough to be able to chase their dreams as an adult? It’s a huge undertaking! To put both of these together, can be overwhelming. How do you help your son explore his interests and talents when he has to face health issues? For the most part, Seth has been able to do whatever he wants to do, but, in the past, it had to be at a slower pace. He’s always been science oriented so being outside exploring and observing birds and bugs and whatever else he could find has been a good fit with his heart issues. When it came to participating in sports, we’ve had to make sure the coach understands Seth’s needs. Seth has always been very good about knowing when he needs to take a break – we haven’t had to worry about him overdoing it, but we were always there too making sure he was doing OK.
Do you have any tips or advice for other parents who have sick children but really want to allow their children the freedom to learn as their own pace and in their own way? Maybe not tips, but I hope I can encourage them. I found that my son’s health “forced” me into being more willing to slow down and follow his interests, and I’m incredibly grateful for that (I was a public school teacher and had to unlearn a lot). I call it “Slowing Down for an Excellent Education” because that’s exactly what it is. I truly believe that he has gotten a far superior education because of the freedom he’s had and the time he is given to allow information to sink deeply into his mind. He doesn’t just learn facts (though he does love them), he understands them. Following interests also helped make the basics of education easier to learn. For example, he learned to read because he wanted to read about the animals he loved. It’s also helped him to grow beyond what I could ever have planned for. Because he loves learning (it’s not a task he just has to get done), he’s more open to learning about things he wouldn’t have thought he was interested in, and he spends huge amounts of time learning on his own. I have found, without a doubt, that the things he has learned soundly are the things he has learned on his own. Now that it’s spring, Seth has started his morning routine of pulling on his boots and heading outside as soon as he wakes up. I watched him, hunching over, looking for critters in our newly tilled garden and thought about how wonderful it is that at age 13 he’s still doing this – it’s who he is and what he loves. He begins “high school” next year, and we’ve started planning what he needs to do so he’s able to pursue his love of biology at a higher level. My husband and I have enjoyed how enthusiastic Seth is about his high school years. He understands and accepts that there needs to be some work done on subjects he’s not crazy about, and it’s OK. It serves a purpose to him and isn’t being done just to waste time. I would encourage other parents to embrace this incredible gift kids are given – their natural curiosity and love of learning. It’s also a gift to us as homeschooling moms.If you can let go of the idea of having to educate a certain way (like the public schools do), you can relieve a lot of your stress. You can relax and watch your child blossom because their interests and talents are being nurtured. You can rejoice in knowing you’re not killing their love of learning, but instead setting them up so that they are more willing to stretch themselves. They will learn and they will learn incredibly well. By embracing this style of learning, you can focus on caring for your child’s needs and not let school add to your stress. How does embracing a lifestyle of learning rather than doing school at home help your child de-stress, too? What about our kids who go through these illnesses? Granted, kids do seem to be made of tougher stuff than us adults, but they are the ones who have to physically go through tests, feeling bad, and surgeries. What a gift we give them when we allow them to pursue their interests. Following their loves is a great way for them to de-stress. The benefits go much deeper than that though. We’re showing them that they are more than OK being just who they are – they’re brilliant, interesting, and gifted. Their thoughts and ideas are valuable. While their bodies may not be working the way they’re supposed to (as compared to others), ultimately they amazing kids and we love them for who they are. What are your son’s current interests and what are some of his goals for this next year? History is also a big love of his. He really enjoys reading historical fiction. He’ll read anything that’s about history (World and American) and has a far better understanding of it than I ever did. He’s also really enjoying his time with Dad doing projects. This weekend, they repurposed his old swing set into a catio for our cats to be able to go outside in, have some freedom, but stay safe. They also tilled the garden to get it ready to go. I don’t think my husband knows what an incredible teacher he is, I love watching Seth learn from him. You can find out more about Kimberly and read her incredible articles at www.kimberlyehlers.com. She also has some great products available including: Creating a Homeschool That Blesses Your Family-Even During Your Child’s Illness, Family Challenge Devotions and The Faith Challenge. I am def going to check out her site!! Fantastic interview!! I hope you get a chance to. She shares such great advice. Thank you, Elizabeth! I hope we get a chance to know each other . Take care!